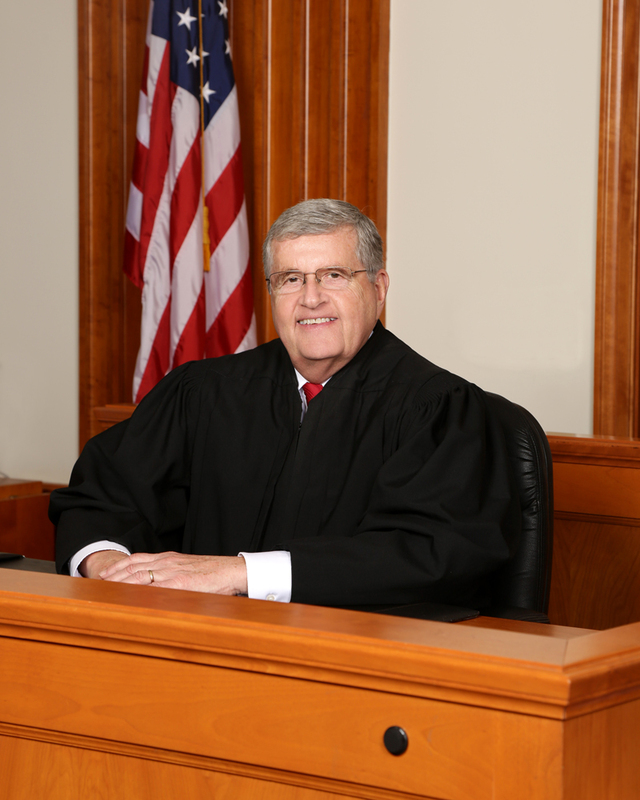 Judge Richard P. Ferenc has deep roots in Clermont County. Growing up here, he attended West Clermont Schools and is a proud member of the 1969 graduating class of Glen Este High School. He received his Bachelor of Business Administration Degree from the University of Cincinnati in 1973, and his Juris Doctor Degree in 1977, from the Salmon P. Chase College of Law, Northern Kentucky University, where he was an Associate Editor of the Northern Kentucky Law Review. He was admitted to the practice of law in the state of Ohio in 1977, and the United States District Court, Southern District, of Ohio, in 1978. Judge Ferenc began his law practice in Columbus, Ohio, as an Assistant State Public Defender, serving from 1977 to 1979. He was responsible for felony trial litigation and appeals on a statewide basis. In 1979, he returned home to Clermont County and opened his private law practice as well as serving as a part-time Assistant Clermont County Prosecutor. From 1979 to 1981, he was responsible for criminal misdemeanor trials in the County Court. From 1981 to 1983, he became responsible for prosecuting serious felony cases in the Common Pleas Court. In 1983, he was appointed as the Chief Felony Assistant Prosecutor, a position he held through 1987. In this capacity he successfully prosecuted multiple murder trials and scores of other serious criminal cases. He also supervised a staff of felony trial assistant prosecuting attorneys. In 1987, he was the recipient of the Police Appreciation and Achievement Award for Improvement in Police Operations by the Clermont County Chamber of Commerce. In the fall of 1987, Judge Ferenc joined the Batavia law firm of Ely & True, becoming a partner in 1990. For more than two decades, Judge Ferenc successfully litigated serious and complex civil matters in the Common Pleas Court in a number of counties in southwest Ohio. He also served as a part-time Public Defender, representing indigent defendants charged with serious criminal offenses. During his legal career, Judge Ferenc served as a board member of the Clermont County Board of Elections from 1996 – 2004; was the Chairman of the Clermont County Republican Central Committee from 1995 – 2004 and received the Clermont County Republican Party Leadership Award in 2004. He also served as the President of the Clermont County Bar Association in 2001. Judge Ferenc has been active in his community over the years, serving on boards and being active in youth sports programs. Judge Ferenc and his wife, Debbie, have been married 37 years and have one daughter and one granddaughter.